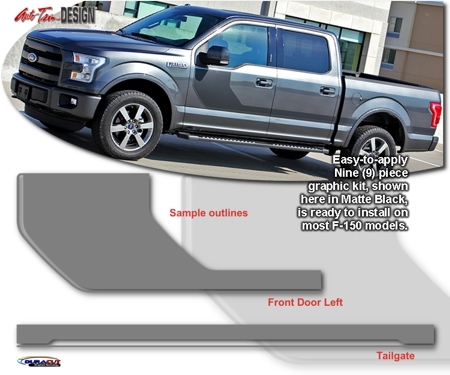 Make your '15-Current Ford F-150's Hood stand out with this great-looking Hood Graphic kit. This stripe package is not just a rectangle of vinyl in a box. Our graphic kit consists of a prefitted and contoured piece as shown in the illustration. 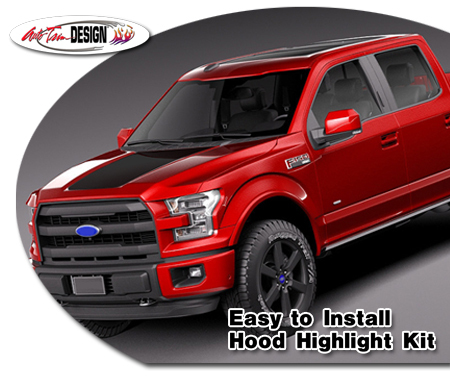 Kit is specifically made for the '15-Current Ford F-150 factory Hood and will not fit any other vehicle.